Cinder Block Rotary International Edition Foam Prop - Dino Rentos Studios, INC. This Rotary International Edition Cinder Block foam prop looks like a real cinder block and is great for a construction display. 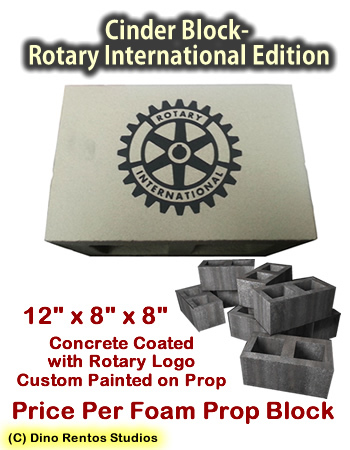 It is concrete coated with the Rotary International logo custom painted onto the surface of the block. Price is per cinder block.